Sport is one educational tool for a holistic development of a person. It is not only important for maintaining health, but also to developing virtues and positive attitudes in every student. Mater Salvatoris School strives for excellence in sportsmanship, teamwork, athletic skills and ethical behavior, learning to accept defeat, but also to win gracefully; and promotes honor and respect for teammates and opponents. Mater Salvatoris will offer basketball, softball, volleyball, lacrosse, soccer, among other sports, to foster leadership, discipline, following directions, teamwork and confidence in others. 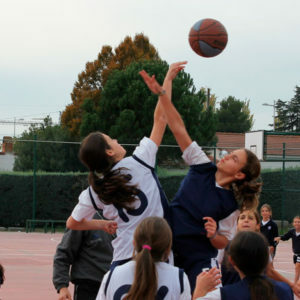 Individual sports, such as tennis, athletics and rhythmic gymnastics, are also important.